I’m proud to announce that the next version 2.1 of my plugin WordPress Hide Admin Menu is released. This version includes 2 big improvements: Auto Update and ability to config only once for whole network in MultiSite mode. The Auto Update feature comes from a fact that users at CodeCanyon where I put my plugin can’t see updates of the plugin when a new version is available. They have to go to their profile page, find the purchased item, re-download and re-upload it again to use it. That process is too long and a waste of time for users. So I made this feature to let users can see updates and update right in the admin area of WordPress, just like normal plugins at WordPress.org. The feature of setting only once for whole network is a big request I received several times. At first, I didn’t realize that this featured is important. But after playing with a local MultiSite install, I think that people really need it! It’s very helpful for you when you have a network of similar websites and want to config only once for all of them. It’s similar to the settings page of individual blogs. Actually, I use a trick in the plugin to load all menu items of the blogs into this config page. That’s convenient because you’re configuring the blog’s admin menu, not the admin menu for the network (I mean the admin menu when you see Sites, Updates, … on the left of the image above). That says the super admin of the whole network has higher priority than blog admin (of course). And blog admin can still has his own settings there. One another thing of this version is that you can import/export settings for whole network, very similar to what we had in previous version for individual blogs. I also included translation for my native language: Vietnamese in this update. Hope my friends will have pleasure using the plugin! So that’s all for this version. If you purchased the plugin at CodeCanyon, just go to your profile and re-download the plugin (you have to do this once more time only). 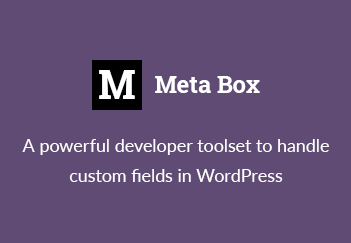 If you’re a new to the plugin, get it now. For full information of the plugin, please see the plugin page. Enjoy the WordPress Hide Admin Menu plugin! Let me know your thoughts in the comments. Thanks!